Headquartered in Matthews, North Carolina, Harris Teeter operates 230 stores and 14 fuel centers in eight Southern states: North Carolina, South Carolina, Virginia, Georgia, Tennessee, Florida, Maryland, Delaware, and the District of Columbia. Harris Teeter is a wholly-owned subsidiary of The Kroger Company. All coupons must be original - no photocopies. A limit of one manufacturer coupon per purchased item is accepted. They accept only one paper coupon (Manufacturer, Internet, Harris Teeter or Competitor) per purchased item. Coupons saved to mobile devices are not accepted. Coupons must be redeemed before the expiration date. Refunds are not given for coupons not used at the time of purchase. In other words, you cannot come back with a coupon after checking out and ask for a refund of the difference on an item you purchased. Coupons presented and items purchased must match exactly- size, variety, flavor, and any other criteria listed on the coupon. Coupons for items only of equal or more value are accepted. They do not give cash back. Coupons that are for money off of the total purchase must be used after all other discounts and coupons are applied. Harris Teeter reserves the right to limit quantities in coupon usage, as well as products. Fraudulent coupons listed at Coupon Information Corporation's website are not accepted. The coupon policies can be changed without notice. VIC cardholders can redeem up to 20 double coupons per day per customer/household. All other coupons (past the 20 per day) are redeemed at face value. Separating purchases in order to exceed the 20-coupon limit or any other coupon limits is not allowed. Manufacturers' coupons are doubled up to the face value of $0.99, with the total amount not to exceed $1.98 or the entire retail of the item (whichever is less). Shoppers can double up to three identical items with manufacturer coupons. Additional coupons for like item will be honored at face value. Like items include all flavors. Coupons that state "do not double" will not be doubled or tripled. e-VIC coupons can be accepted along with paper coupons, however, they will not be doubled. 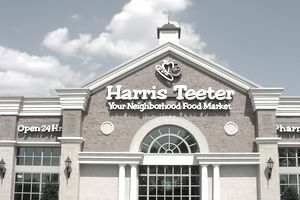 Harris Teeter accepts printable Internet manufacturer's coupons. No Internet coupons for a "free" product are accepted. With the purchase of three like manufacturer’s products, they accept three Internet coupons, per store, per day. Internet coupons that do not appear to be originals or that will not scan are not accepted. Any presented coupon that does not follow standard industry format will not be accepted, to include coupons that are copied and have the same serial number. Local competitors' manufacturer coupons are accepted for cents or money off. They do not accept percent off items or percent off total order coupons. They also redeem circular or direct-mail coupons for money off of the total order. There is a limit of one per customer per day. If a coupon is marked as a Manufacturer’s Coupon, they will accept it even if it comes from a Catalina coupon machine. Example: If the coupon is from Target, Food Lion etc. and has “Manufacturer’s Coupon” printed on the coupon it is acceptable. They do not accept any internet coupons from other retailers. Rainchecks will not be issued for coupon items that may be out of stock or for "while supplies last" items. Rainchecks cannot be combined with current sale price. Harris Teeter reserves the right to limit raincheck quantities based on product availability and advertised limits. Rainchecks can be written for a limit of three unless otherwise stated in the ad. The Harris Teeter scan guarantee: "If an item scans higher than the shelf tag or sign, you will receive one like item free, excluding alcohol and tobacco." Up to five "scan guarantees" per customer will be given. All other pricing discrepancies will result in the difference between the price on the shelf tag and the actual price of the item being refunded. For example, if a customer presents six cans of green beans, three jars of mayonnaise, two boxes of cereal, four containers of laundry detergent, and two gallons of milk with shelf tags and receipts saying that all of these items scanned incorrectly, they will give the customer one can of green beans, one jar of mayonnaise, one cereal, one container of laundry detergent and one gallon of milk for free. For all the rest of the items, they will refund the difference in price per item. Harris Teeter shoppers can join the VIC (very important customer?) program to receive special VIC prices on products throughout the store. VIC card holders are also entered into VIC sweepstakes and special promotions each time they hand their card to a cashier when checking out. The e-VIC program is available to all shoppers in all Harris Teeter stores. It is an email service that informs shoppers when items that they regularly buy go on sale. e-VIC members also receive information on the item of the week, exclusive e-VIC coupons and member-only discounts, plus weekly and quarterly sweepstakes are also announced. With e-VIC coupons, shoppers can link manufacturer coupons directly to their VIC card, shop, then hand their VIC card to the cashier when checking out. The applicable e-VIC coupons will automatically be deducted from the total. Note: Coupon policies and customer services may change without notice. Please visit the Harris Teeter website for more information. Couponers Love the Coupon Policy at Target. See Why.